Intercontinental Terminals Company is a bulk liquid storage terminal in Texas which provides services to the petrochemical industry. 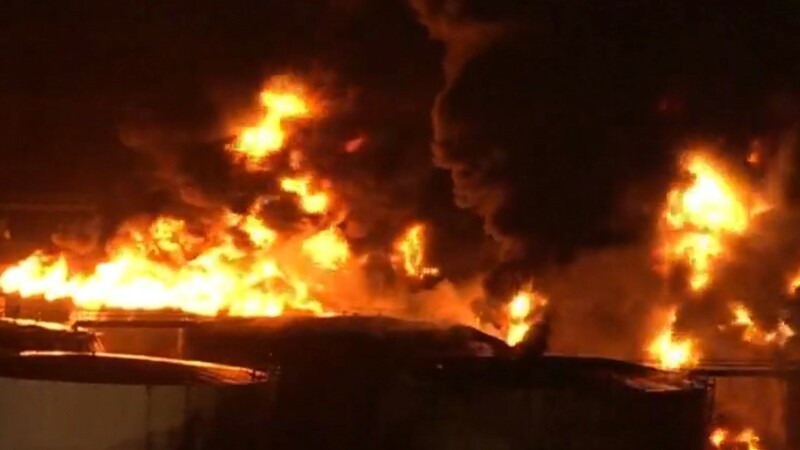 DEER PARK, Texas — Officials Tuesday afternoon said they are using offensive tactics to combat the eight tanks that continue burning in Deer Park. 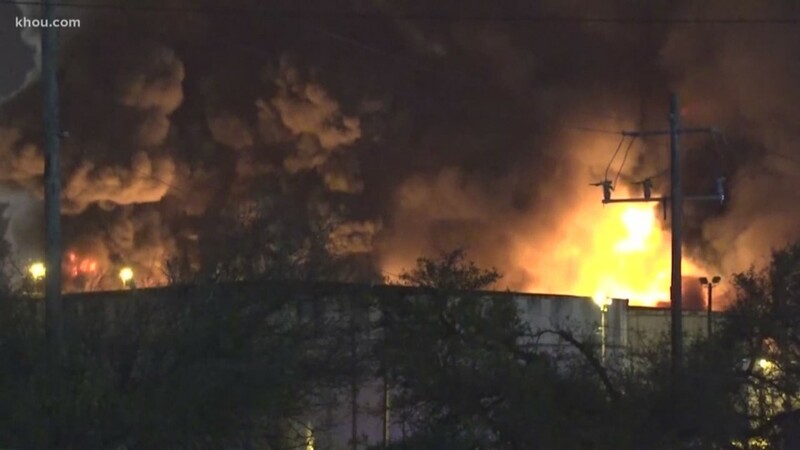 Since 10 a.m. Tuesday, two more tanks caught fire and two re-ignited. One tank burned out. Bringing that to a total of eight tanks burning, which is three more than before. Firefighters continue using foam and water to fight the flames. 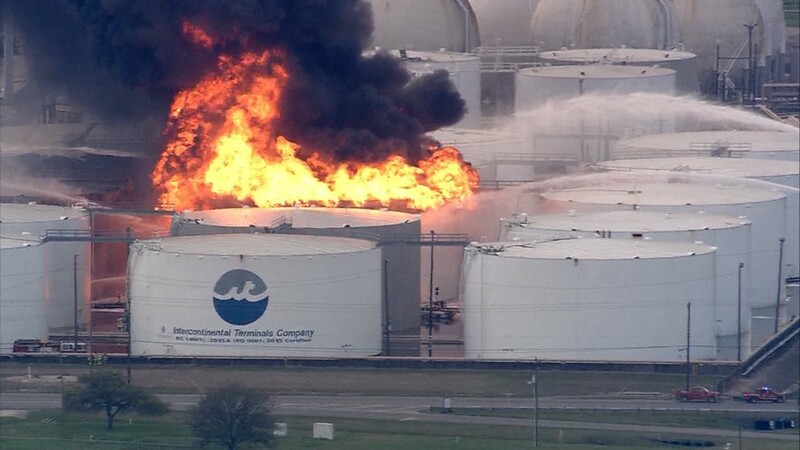 ITC officials said their primary goal is to contain the fire to the tank farm area. Ryan Sitton, Commissioner of the Texas Railroad Commission, said there is no air quality concern. "The stuff burning out of those tanks is a gasoline or gasoline blend...but there's not toxins in there," Sitton said. "There can be particulates in there, there may be ash that's coming out, but they’re the same risks you’d have in your backyard fire when you get ash out of that." Sitton said there are four agencies -- ITC, TCEQ, Harris County and the EPA -- monitoring air quality. He said all of the monitors indicate there are no elevated risks. 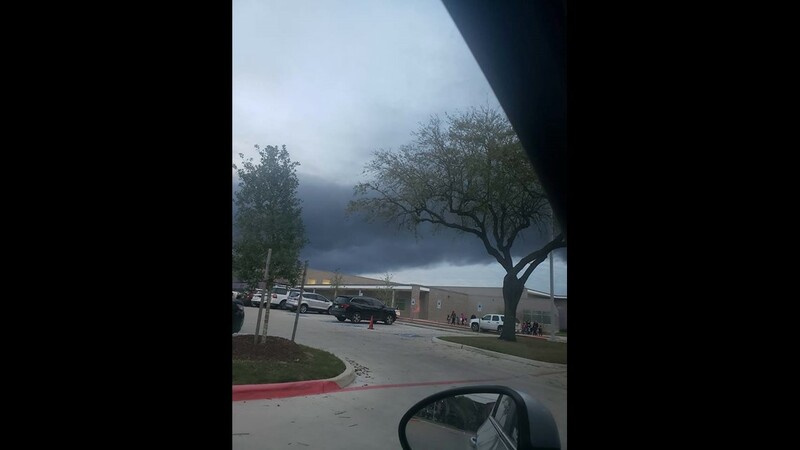 Many schools are closed Wednesday, including Deer Park, La Porte, Channelview, Galena Park and Sheldon ISDs. San Jacinto College and Rhodes School for Performing Arts, Channelview campus are also closed. 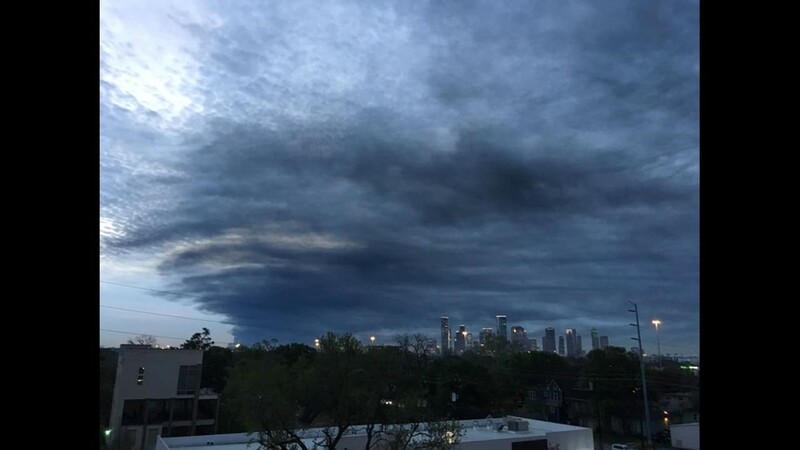 While acknowledging "the dark cloud of smoke seems ominous," Houston Mayor Sylvester Turner said there's "no cause for alarm" as the huge plume from the Deer Park fire spreads west. The mayor said air quality is being monitored around the clock, with 10 monitors providing hourly updates. "If we detect any cause for alarm, we will be the first to let you know," Turner said. 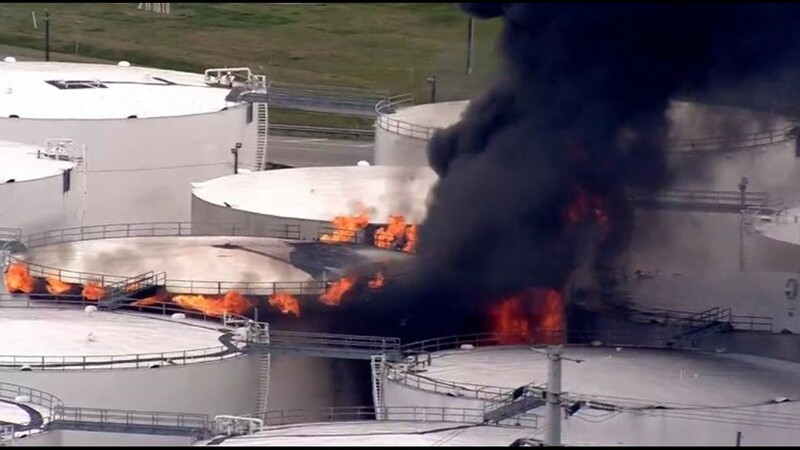 On day 3 of the massive tank farm fire, emergency responders are still trying to suppress fire on five tanks. 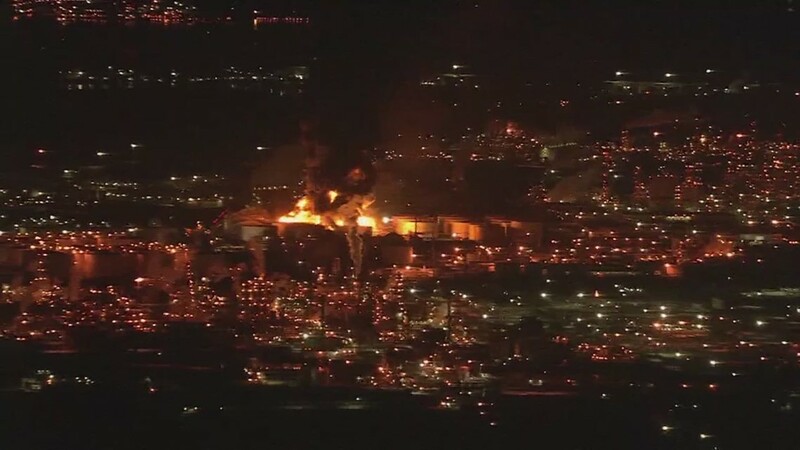 Three others have "burnt out" at the Intercontinental Terminals Company in the Deer Park area. Two more tanks that were empty have collapsed. And five tanks have, so far, been spared from the flames. 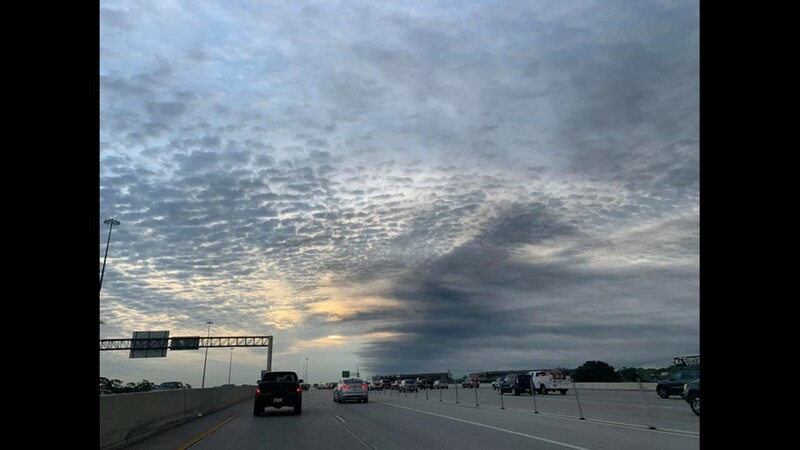 Right now, the weather is on our side, according to Harris County Meteorologist Jeff Lindner. He said the plume is at 4,000 feet and will rise to about 6,200 feet this afternoon as it continues moving west/northwest. "As the winds weaken, the plume height could drop down," Lindner said. "If the winds were to shift, there could be a bigger concern for our community," said Harris County Judge Lena Hidalgo. Even though air monitors aren't indicating unsafe levels, Harris County Public Health encourages people to contact their health provider if they experience adverse symptoms like headaches, nausea, dizziness or irritation of eyes, nose and throat among other possible symptoms. People with respiratory conditions like asthma or COPD could experience "moderate effects," Mayor Turner said. And don't forget your pets. Here's a list of symptoms you should watch out for, along with tips to protect them. RELATED: Are pets in danger from the ITC Deer Park fire, smoke? 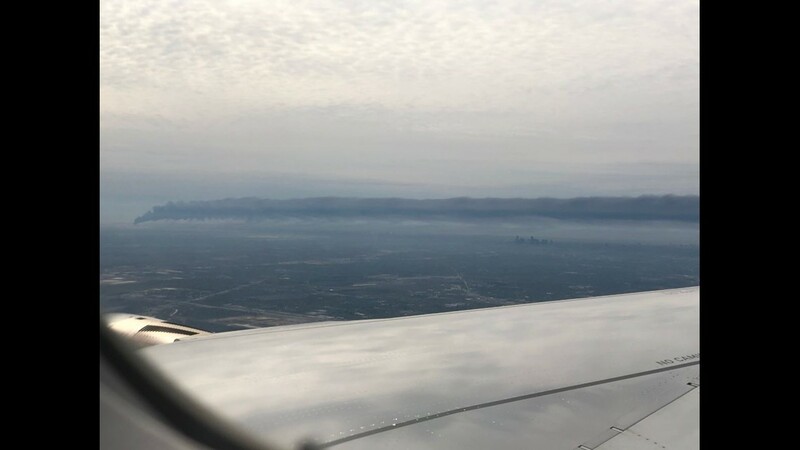 For information on air quality data, tap/click here (Note: Not all test sites are operated by the Texas Commission on Environmental Quality, as some are installed by a third party, and therefore data may not be available). Firefighters Tuesday morning were in defensive mode, using foam and water to prevent the fire from spreading. They say the risk of an explosion is "minimal." “We have several foam engines and foam aerials that we’re currently using, and we’ve had pretty good success controlling fire and keeping it off the rest of the tanks,” said Ray Russell, CIMA Specialist with Incident Command. There was a setback Monday after a temporary reduction in water pressure caused the fire to intensify and spread, according to ITC. The company said two fire boat pumps malfunctioned Monday night causing a loss of water pressure to fight the fire from 4 p.m. until 10 p.m. The City of Houston provided 5,000 gallons of water to help out. ITC says water pressure and water resources have now been restored. 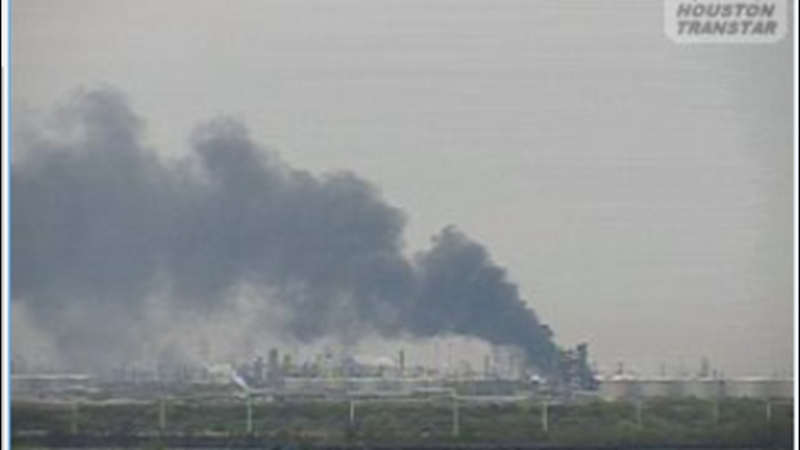 RELATED: What chemicals are burning at ITC in Deer Park/La Porte? An ITC spokeswoman said emergency crews are focusing on preventing explosions. Harris County Commissioner Adrian Garcia is asking why ITC's CEOI didn't call for help on Sunday when the fire began. "We’re in day 3. Should he have called in those out of state resources on Sunday? Should he have asked for more assistance on Sunday? I think that’s a question he needs to answer," Garcia said. If another shelter-in-place is issued, here's what you need to know. Bring your family and pets inside. Lock doors, close windows, air vents and fireplace dampers. Turn off fans, air conditioning and forced air heating systems. Take your emergency supply kit unless you have reason to believe it has been contaminated. Go into an interior room with few windows, if possible. Seal all windows, doors and air vents with 2-4 mil. thick plastic sheeting and duct tape. Consider measuring and cutting the sheeting in advance to save time. Cut the plastic sheeting several inches wider than the openings and label each sheet. Duct tape plastic at corners first and then tape down all edges. Be prepared to improvise and use what you have on hand to seal gaps so that you create a barrier between yourself and any contamination. 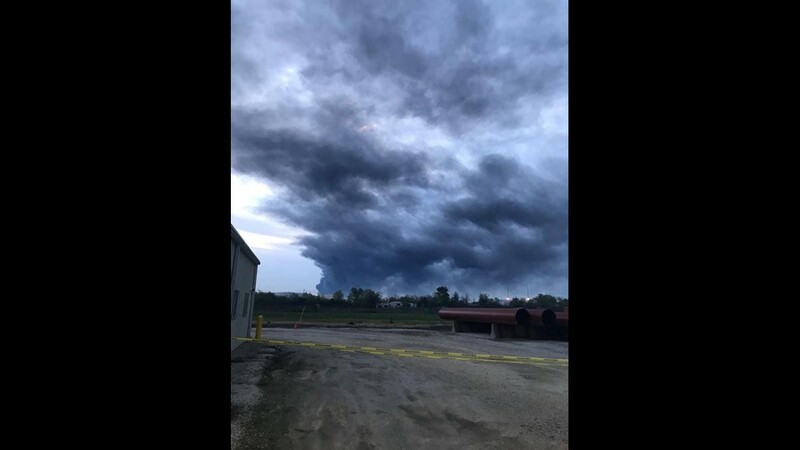 Andrew Corcolis shared this photo of the large plume of smoke from a tank fire at the Intercontinental Terminals Company in La Porte. 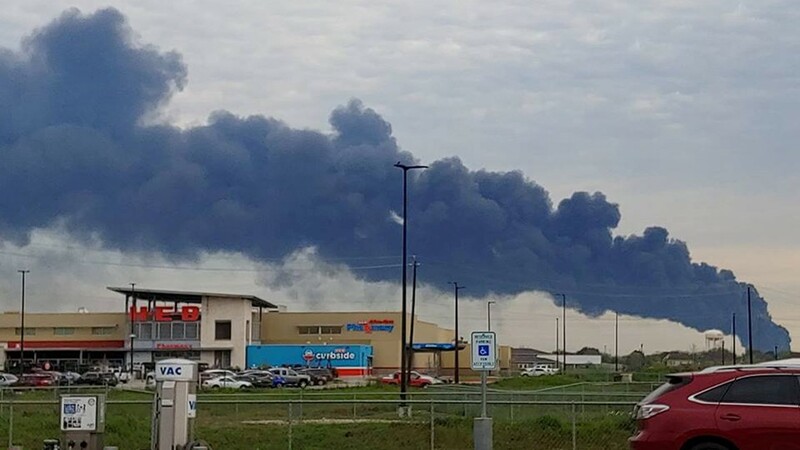 Eric Ford shared this photo from Deer Park of the large plume of smoke from a tank fire at the Intercontinental Terminals Company in La Porte. 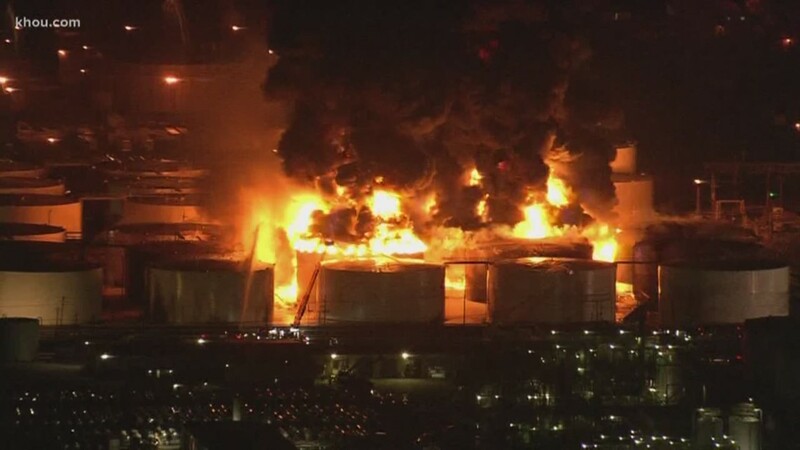 A fire burns at the Intercontinental Terminals Company. 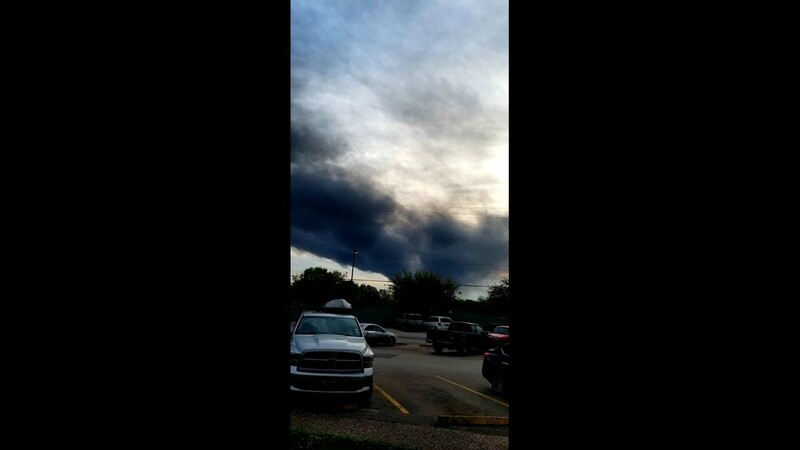 Jackie Medina shared this photo from the H-E-B in Deer Park of the large plume of smoke from a tank fire at the Intercontinental Terminals Company in La Porte. 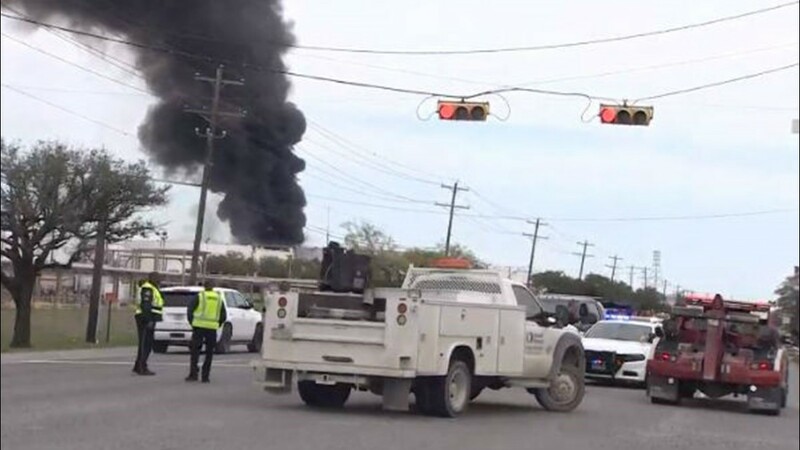 Jael Larios shared this photo of the large plume of smoke from a tank fire at the Intercontinental Terminals Company in La Porte. 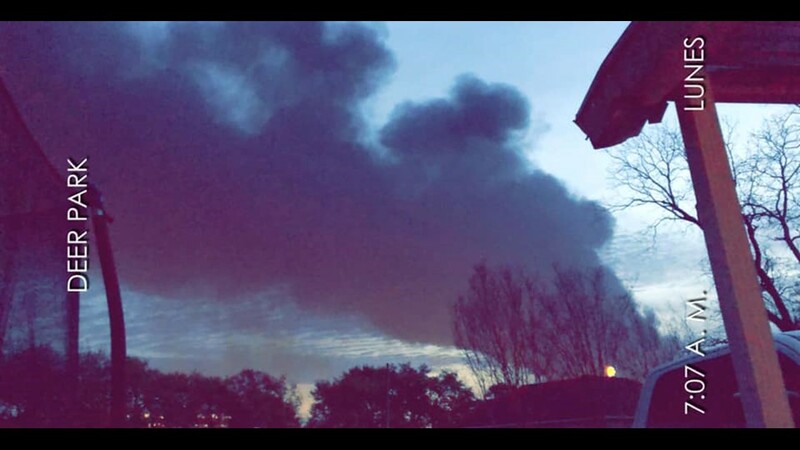 Adriana Mendoza shared this photo of the large plume of smoke from a tank fire at the Intercontinental Terminals Company in La Porte. 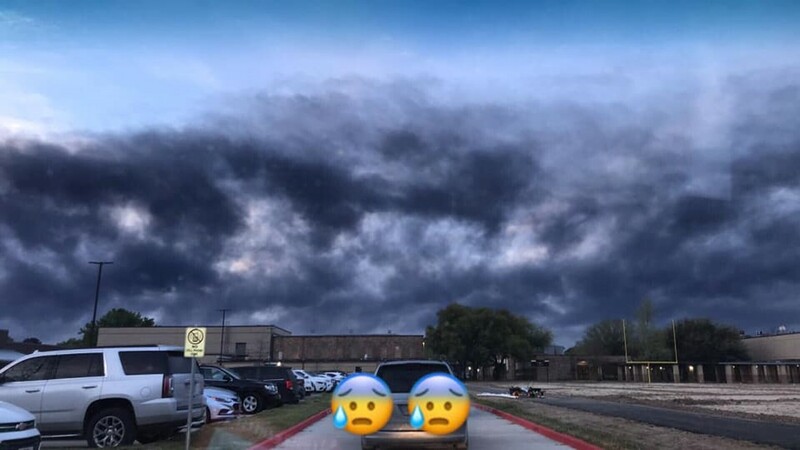 Brittany Hamilton Ayzienne shared this photo of the large plume of smoke from a tank fire at the Intercontinental Terminals Company in La Porte. 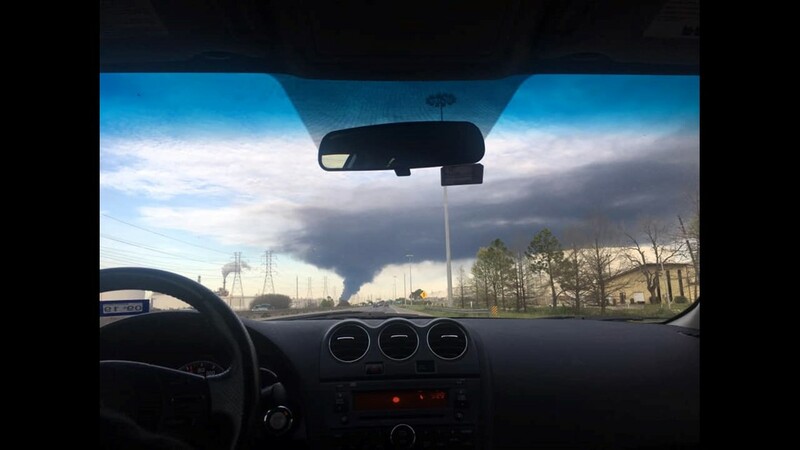 Sandy Knoll Oldenburger shared this photo from Friendswood of the large plume of smoke from a tank fire at the Intercontinental Terminals Company in La Porte. 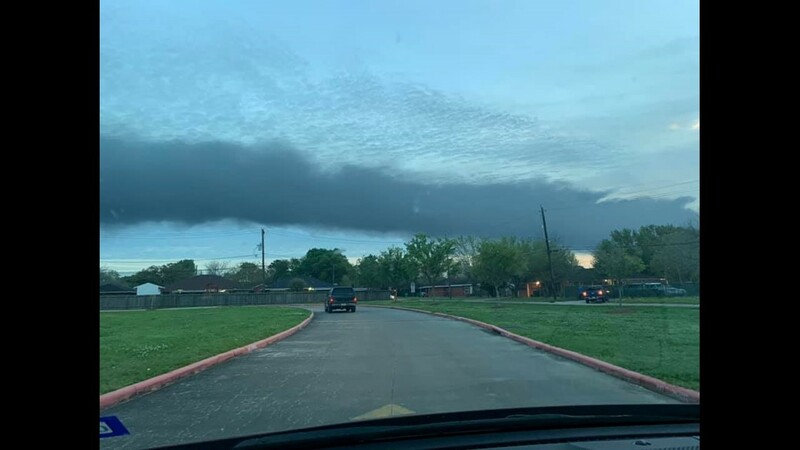 Bea Banda shared this photo from Dow Park in Deer Park of the large plume of smoke from a tank fire at the Intercontinental Terminals Company in La Porte. 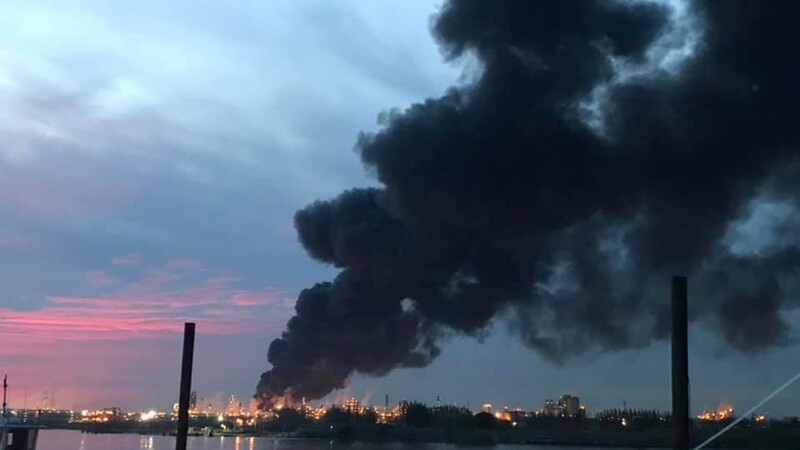 Deer Park fire at 6 a.m.
Danny Camp shared this photo from Deer Park of the large plume of smoke from a tank fire at the Intercontinental Terminals Company in La Porte. 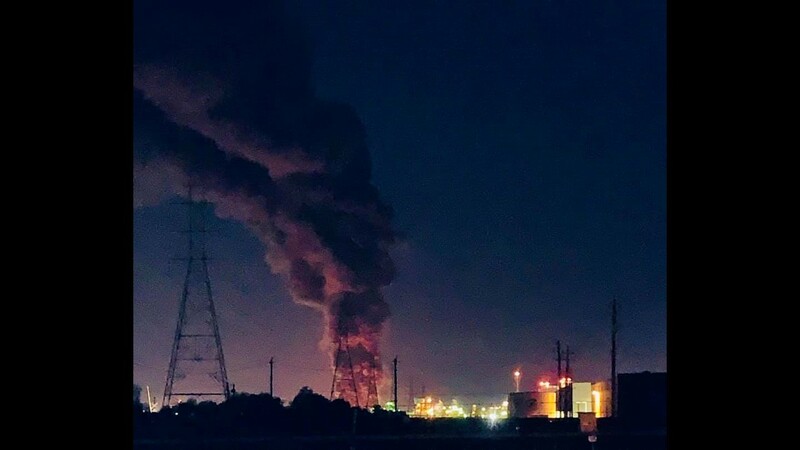 Molly Chiu shared this photo of a large plume of smoke from a tank fire at the Intercontinental Terminal Company in La Porte. 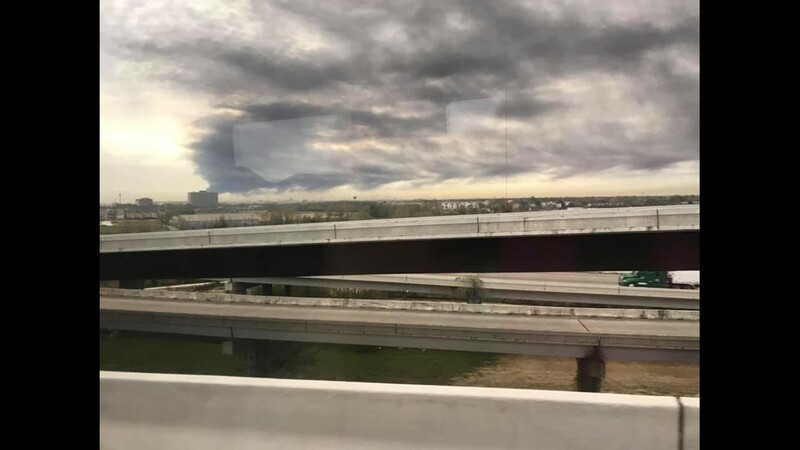 Diana Valencia shared this photo taken on the Fred Hartman Bridge of a large plume of black smoke from the tank fire at Intercontinental Terminals Company in La Porte. 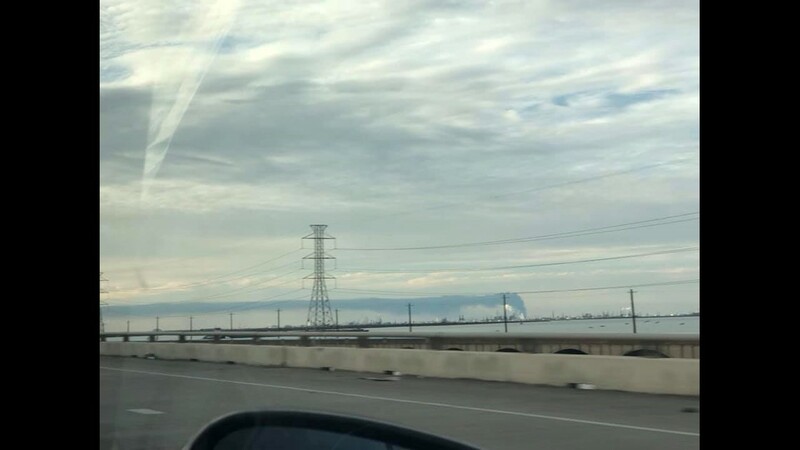 Kristina Davalos shared this photo from the Galveston Causeway of the large plume of smoke from a tank fire at the Intercontinental Terminals Company in La Porte. 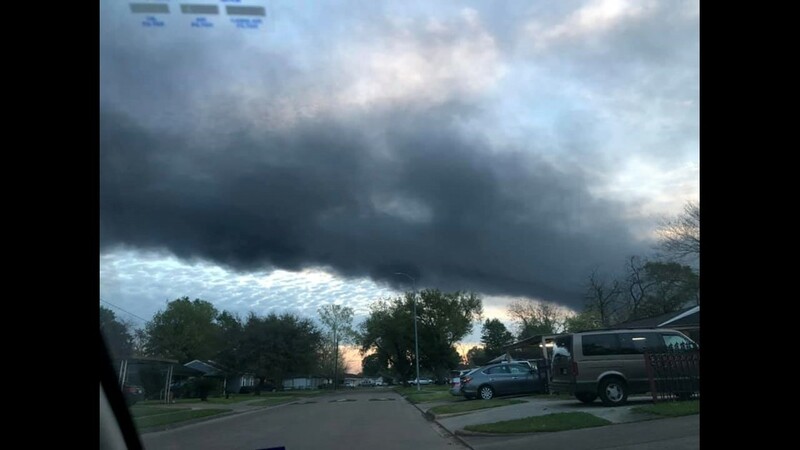 Jennifer Engles shared this photo from Underwood Road of the large plume of smoke from a tank fire at the Intercontinental Terminals Company in La Porte. 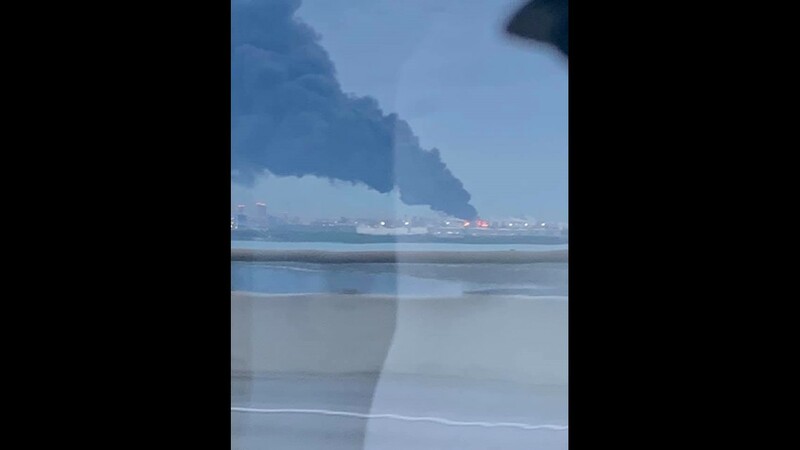 James N Jamie Webb shared this photo from the Fred Hartman Bridge of the large plume of smoke from a tank fire at the Intercontinental Terminals Company in La Porte. 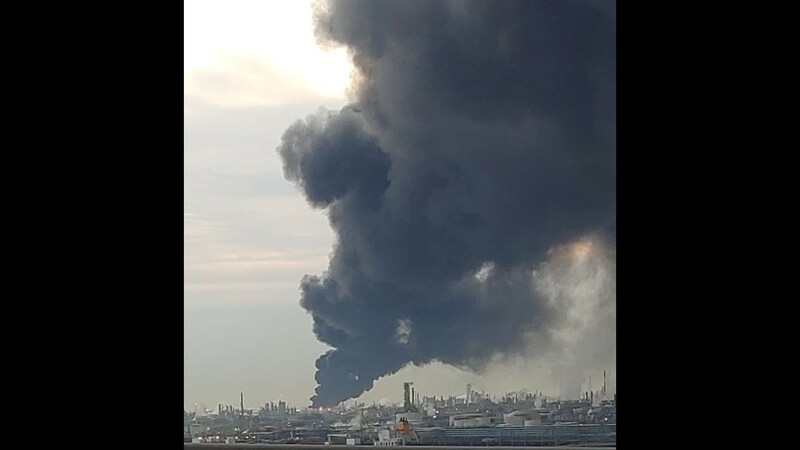 Aleks Mrt Garcia shared this photo of the large plume of smoke from a tank fire at the Intercontinental Terminals Company in La Porte. 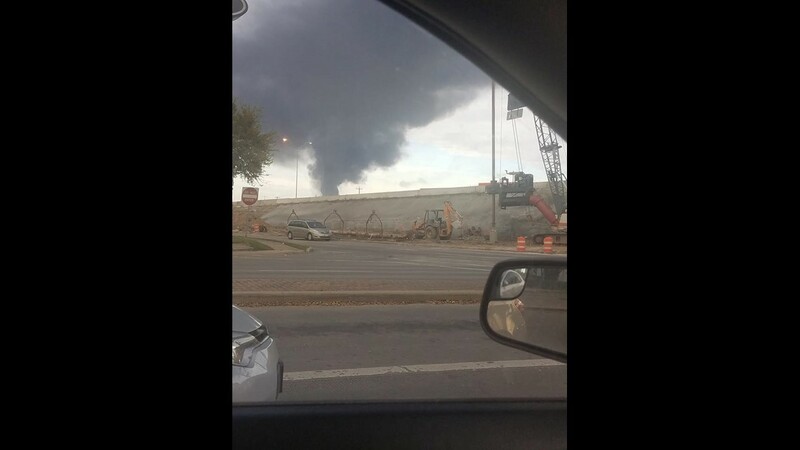 Sara Martinez shared this photo of the large plume of smoke from a tank fire at the Intercontinental Terminals Company in La Porte. 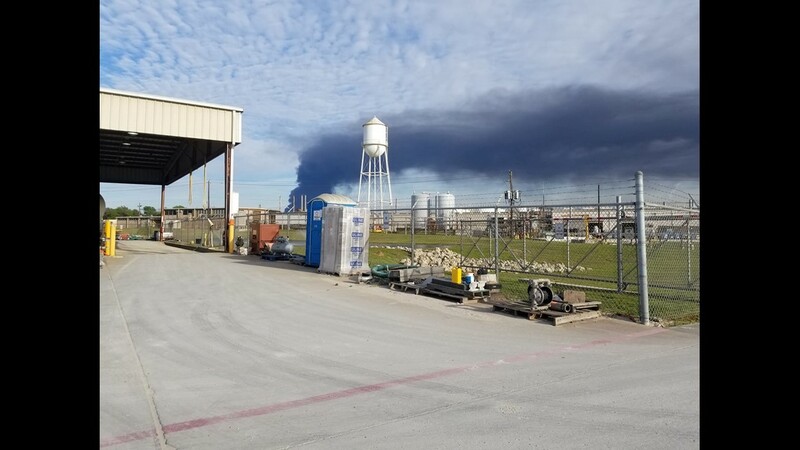 Shyrell N Dennis Frazier shared this photo of the large plume of smoke from a tank fire at the Intercontinental Terminals Company in La Porte. 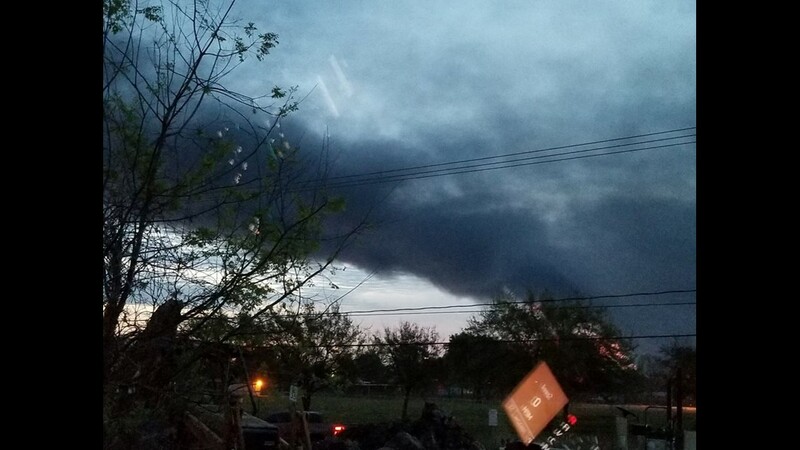 Claudia Castillo shared this photo from Pasadena of the large plume of smoke from a tank fire at the Intercontinental Terminal Company in La Porte. 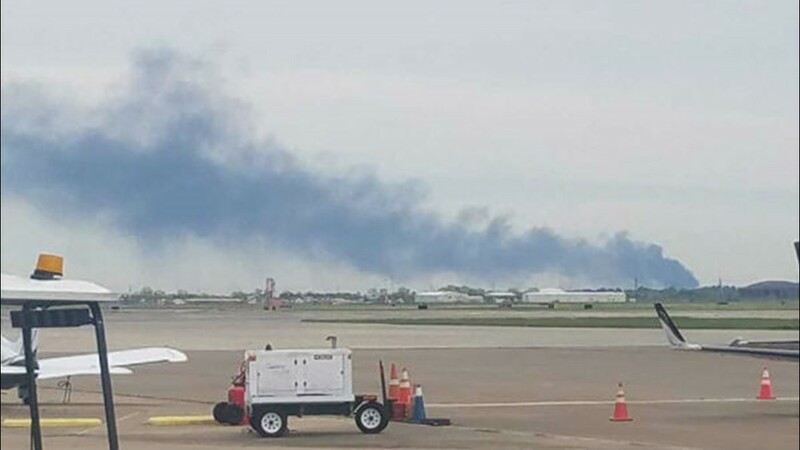 Martin Forcada shared this photo of the large plume of smoke from a tank fire at the Intercontinental Terminals Company in La Porte. 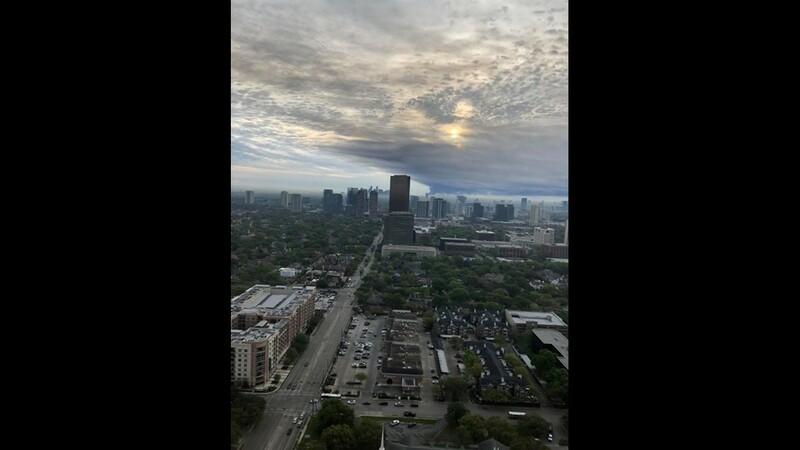 Peggi Konvicka shared this photo from Williams Tower of the large plume of smoke from a tank fire at the Intercontinental Terminals Company in La Porte. 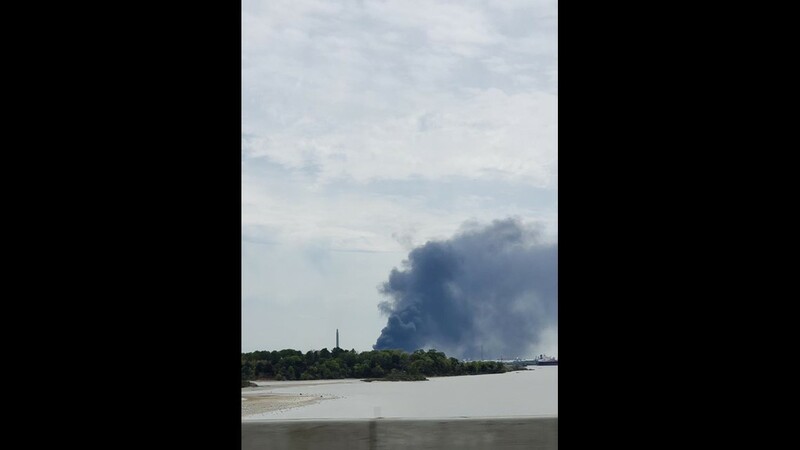 Heather Rhodes shared this photo of the large plume of smoke from a tank fire at the Intercontinental Terminals Company in La Porte. 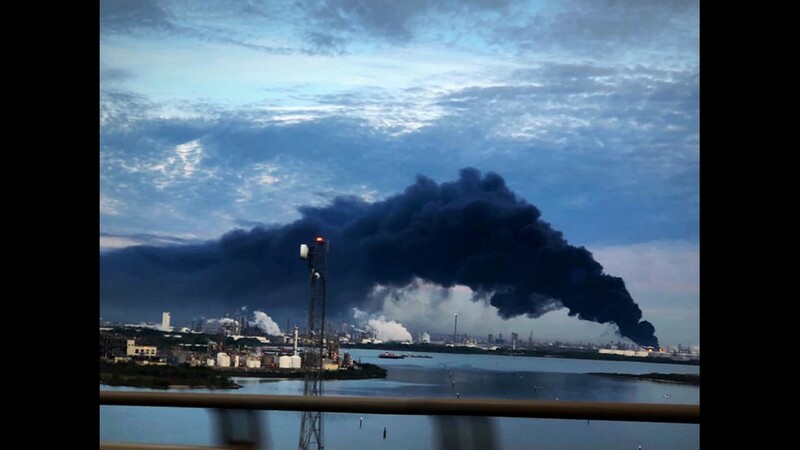 Jeff Tippit shared this photo from Baytown of the large plume of smoke from a tank fire at the Intercontinental Terminals Company in La Porte. 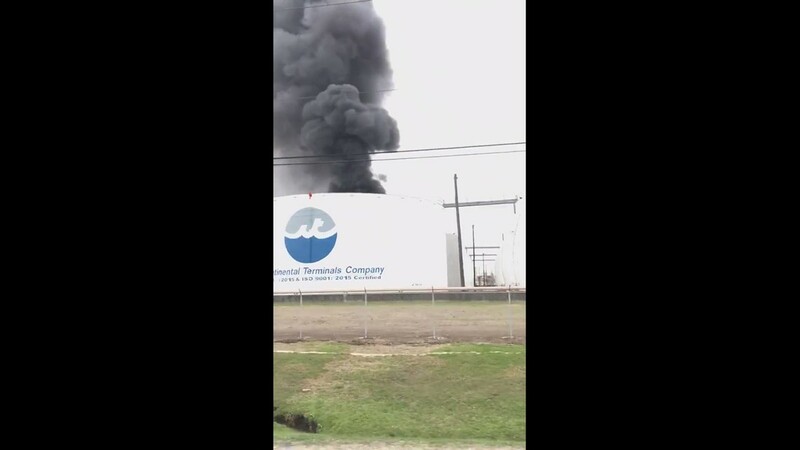 Diana Cardenas shared this photo of the large plume of smoke from a tank fire at the Intercontinental Terminals Company in La Porte. 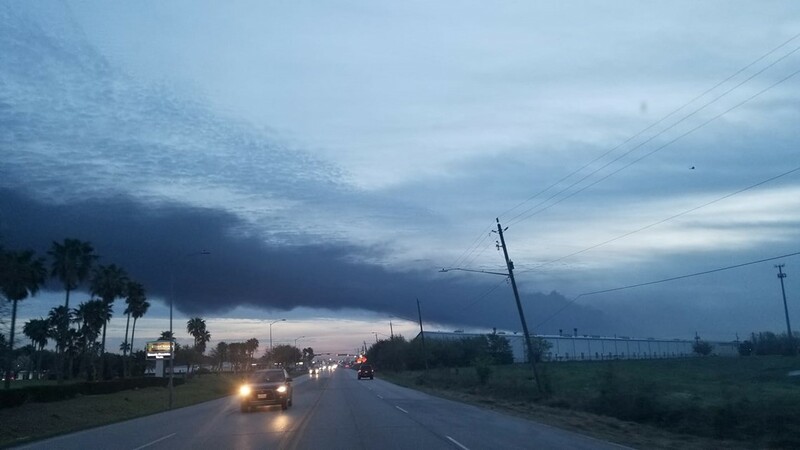 Miriam Arguello shared this photo from Pasadena of the large plume of smoke from a tank fire at the Intercontinental Terminals Company in La Porte. 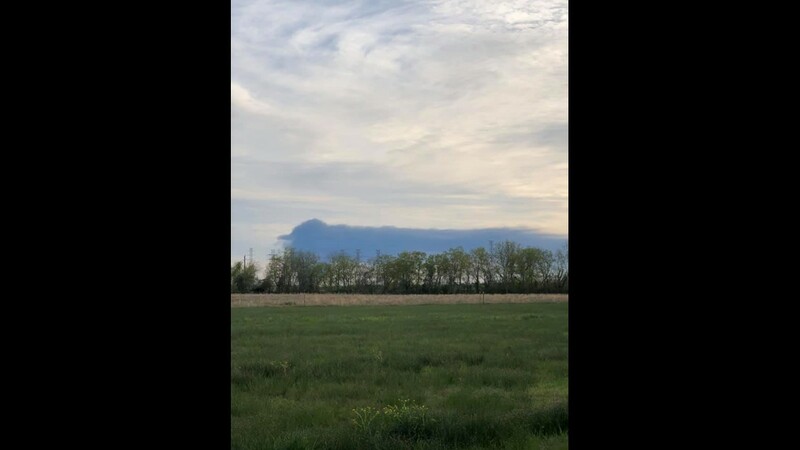 Karina Cervantes shared this photo from Red Bluff and Preston of the large plume of smoke from a tank fire at the Intercontinental Terminals Company in La Porte. 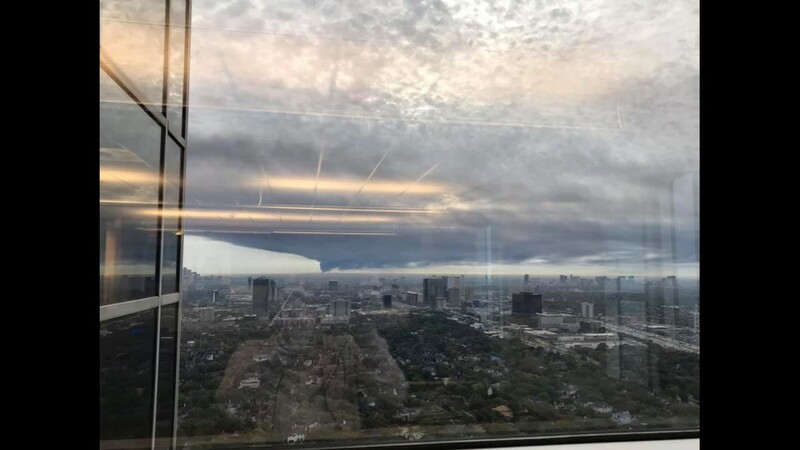 Mayra Alejandra shared this photo from the Houston Ship Channel of the large plume of smoke from a tank fire at the Intercontinental Terminal Company in La Porte. 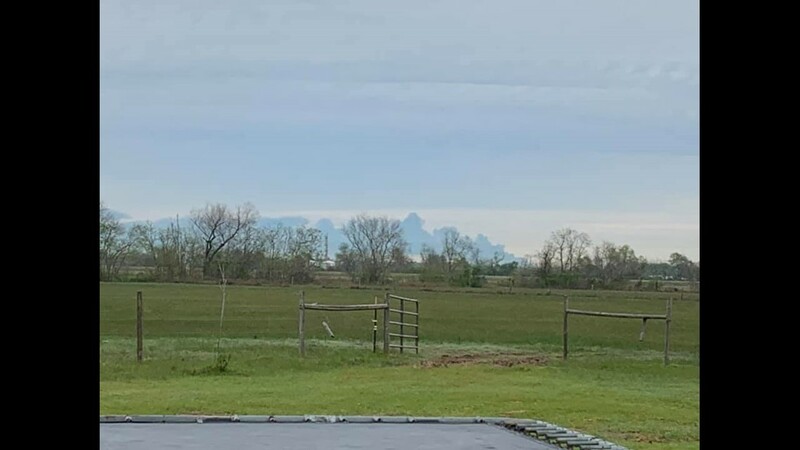 Jennifer Davis shared this photo from the Dixie Farm Road of the large plume of smoke from a tank fire at the Intercontinental Terminals Company in La Porte. 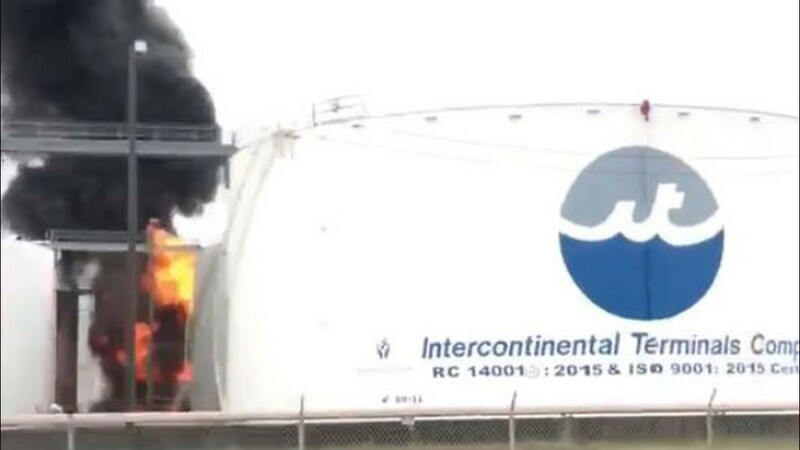 Darlene Skapura shared this photo of the large plume of smoke from a tank fire at the Intercontinental Terminals Company in La Porte. 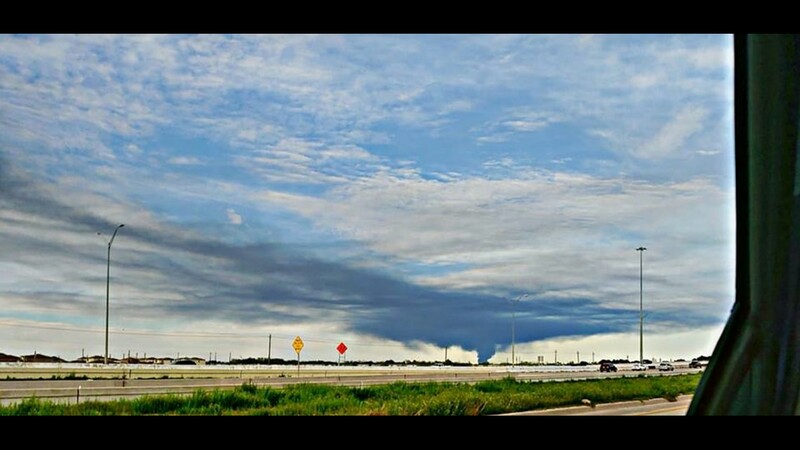 Eva Naomi Oliva shared this photo from 225 at Richey of the large plume of smoke from a tank fire at the Intercontinental Terminals Company in La Porte. 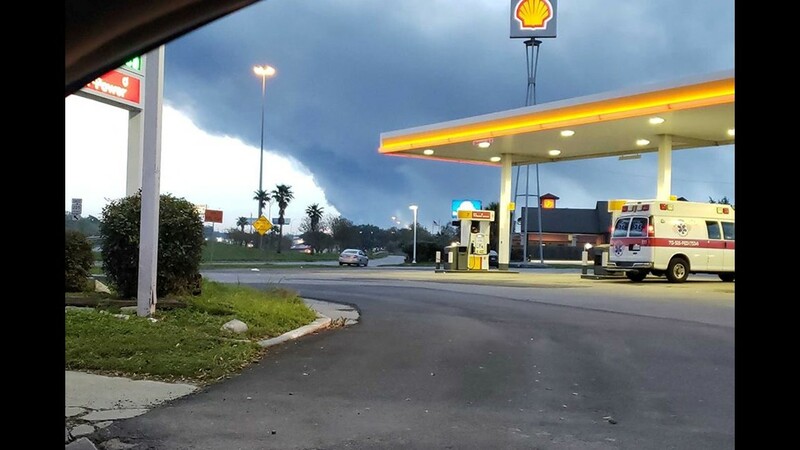 Seidy Lozano shared this photo from I-10 near Memorial of the large plume of smoke from a tank fire at the Intercontinental Terminals Company in La Porte. 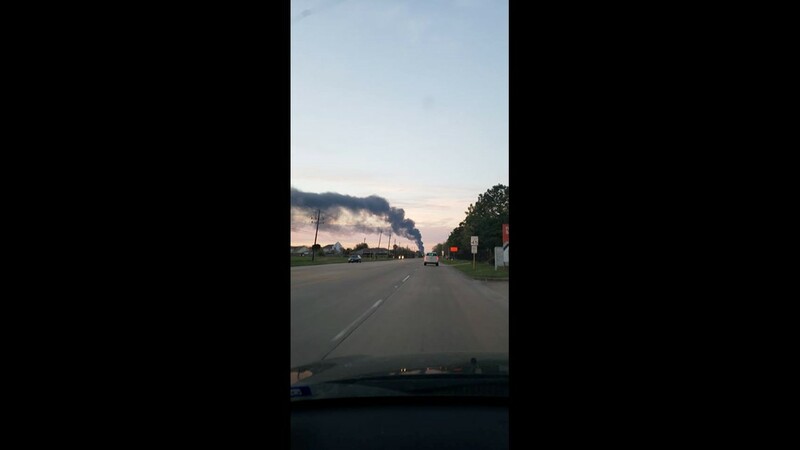 Karissa Shorter shared this photo of the large plume of smoke from a tank fire at the Intercontinental Terminals Company in La Porte. 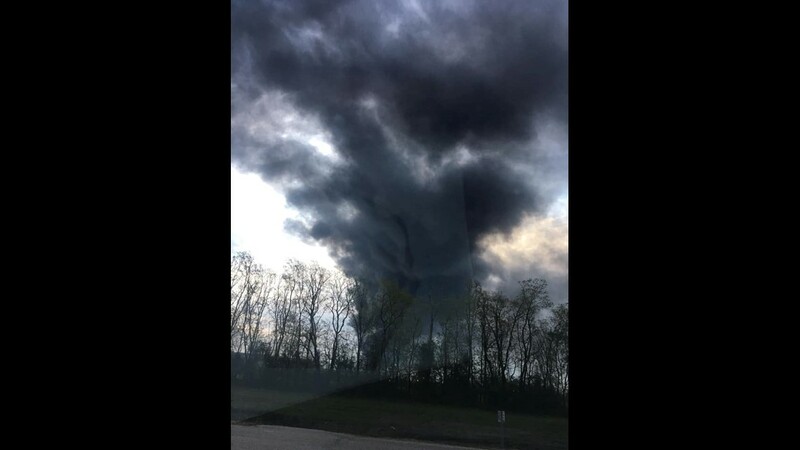 Rebekah Moak shared this photo of the large plume of smoke from a tank fire at the Intercontinental Terminals Company in La Porte. 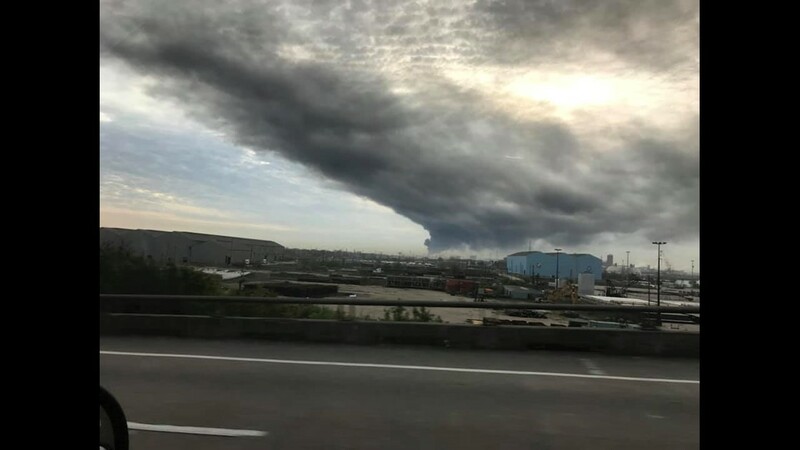 Brittany Ruiz shared this photo from Galveston of the large plume of smoke from a tank fire at the Intercontinental Terminals Company in La Porte. 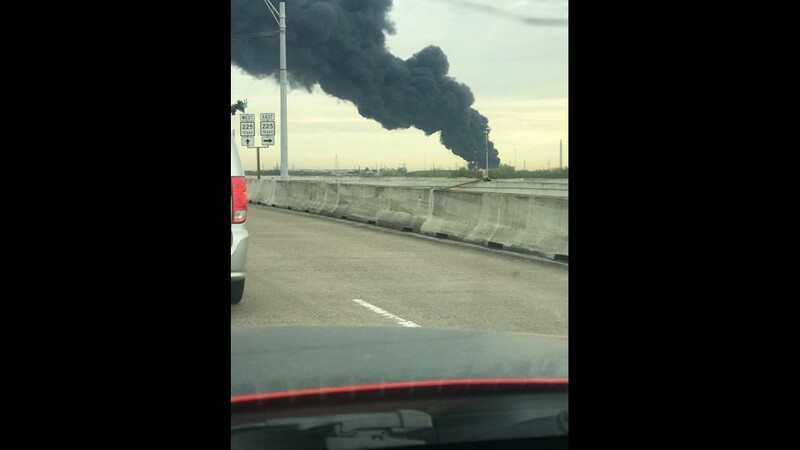 Mike Santana shared this photo from Katy of the large plume of smoke from a tank fire at the Intercontinental Terminals Company in La Porte. 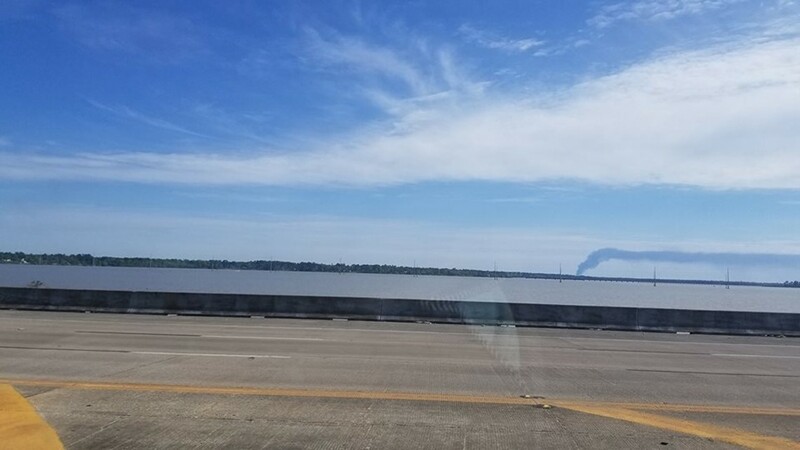 Mandy Meadows shared this photo from Lake Houston of the large plume of smoke from a tank fire at the Intercontinental Terminals Company in La Porte. 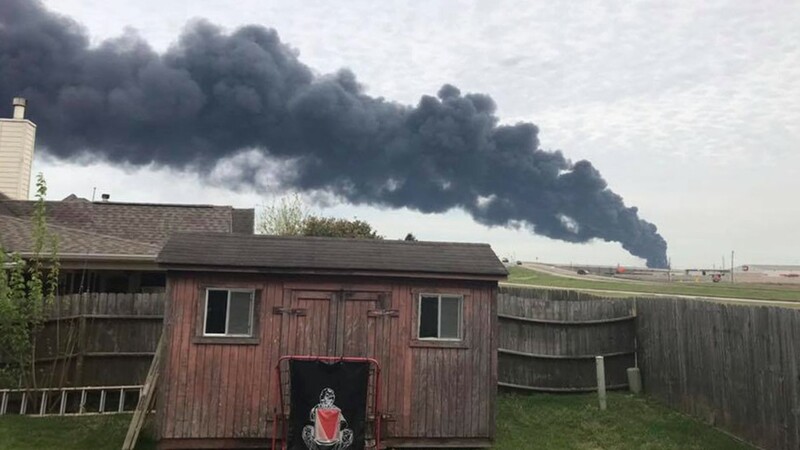 Ann Kloesel-Volkots shared this photo from La Porte of the large plume of smoke from a tank fire at the Intercontinental Terminals Company in La Porte. 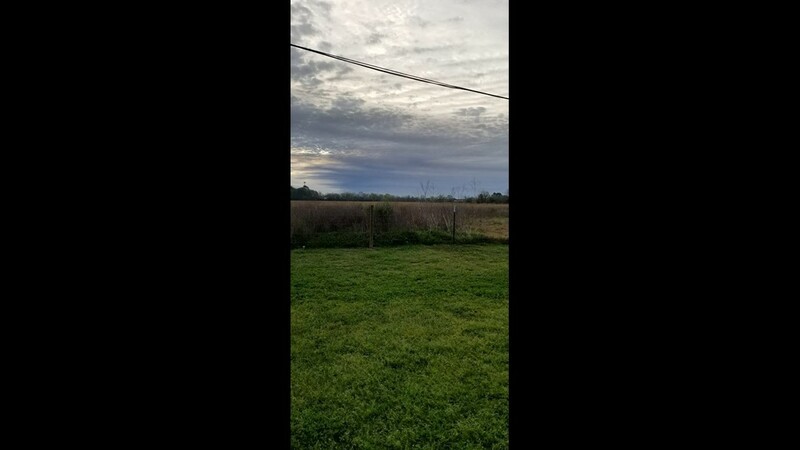 Jen Doe shared this photo from 59 at Shepherd of the large plume of smoke from a tank fire at the Intercontinental Terminals Company in La Porte. 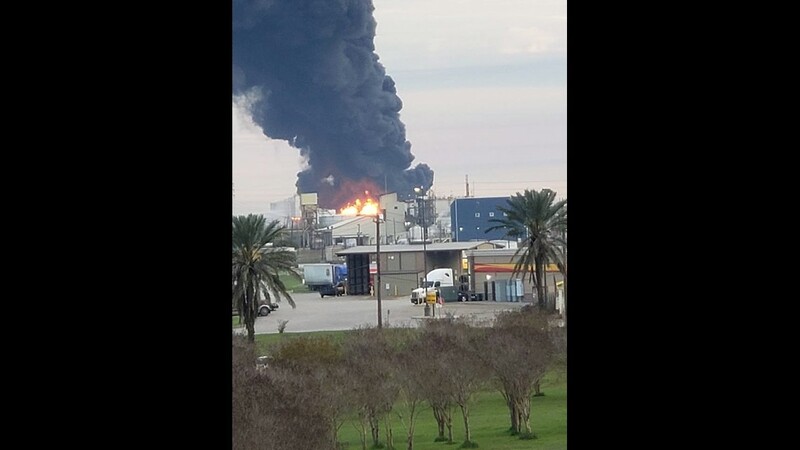 Mark Guillen shared this photo of the large plume of smoke from a tank fire at the Intercontinental Terminals Company in La Porte. 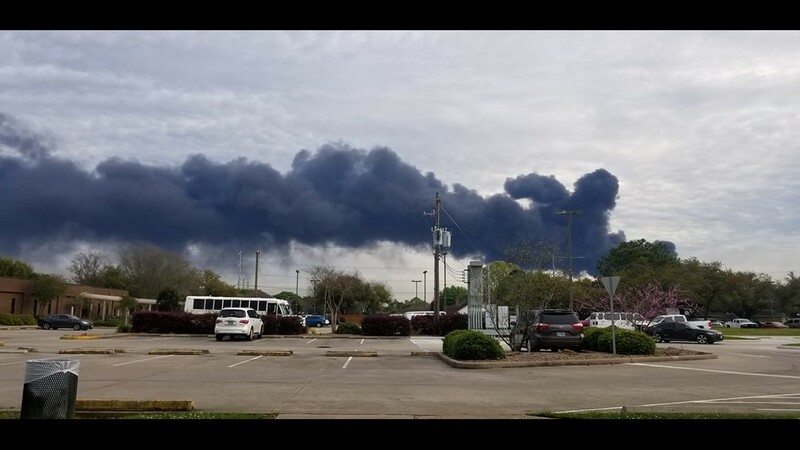 Israel Gloria shared this photo of the large plume of smoke from a tank fire at the Intercontinental Terminals Company in La Porte. 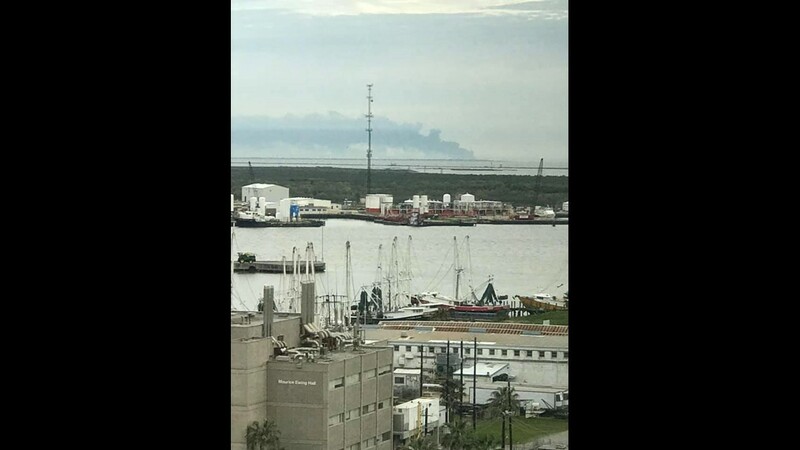 Carlos A Lemus shared this photo of the large plume of smoke from a tank fire at the Intercontinental Terminals Company in La Porte. 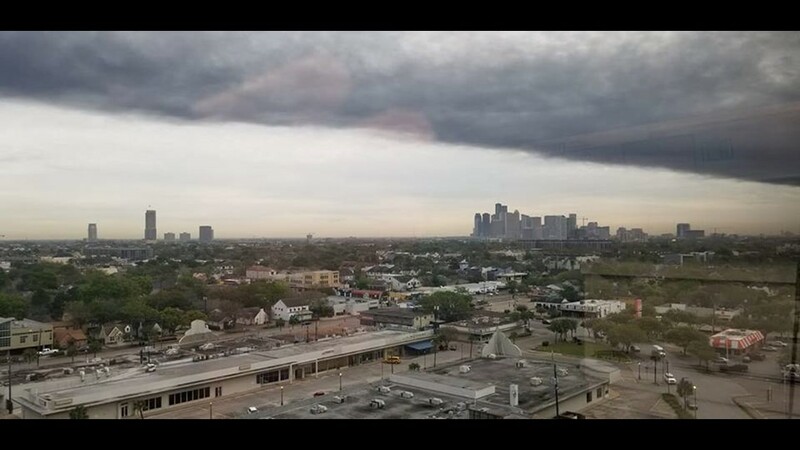 Nelda G. Santiago shared this photo from downtown Houston of the large plume of smoke from a tank fire at the Intercontinental Terminals Company in La Porte. 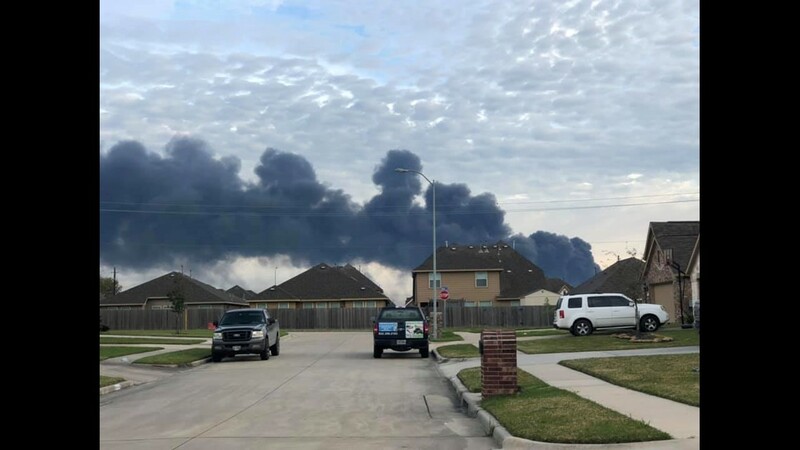 Dustin Dailey shared this photo from Pearland of the large plume of smoke from a tank fire at the Intercontinental Terminals Company in La Porte. 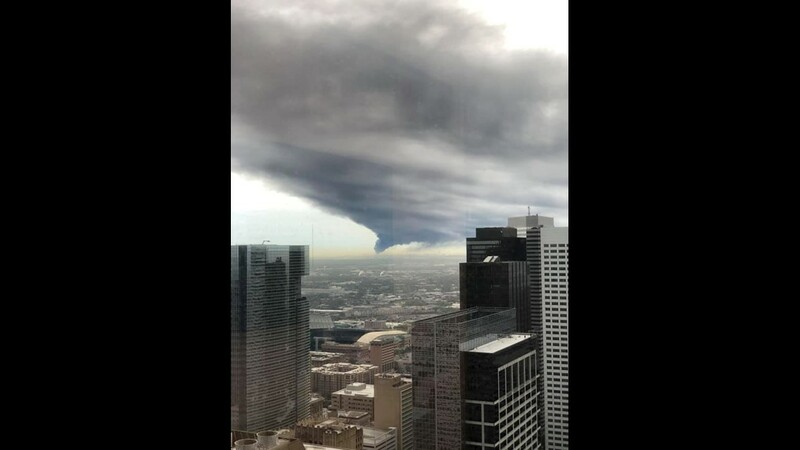 Lisa Buchanan-Andres shared this photo from the Galleria of the large plume of smoke from a tank fire at the Intercontinental Terminals Company in La Porte. 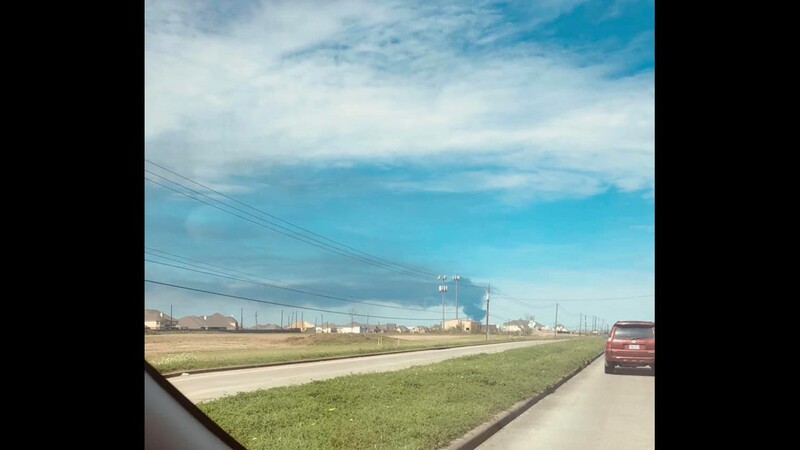 Natalija Weiss shared this photo from Ellington of the large plume of smoke from a tank fire at the Intercontinental Terminals Company in La Porte. 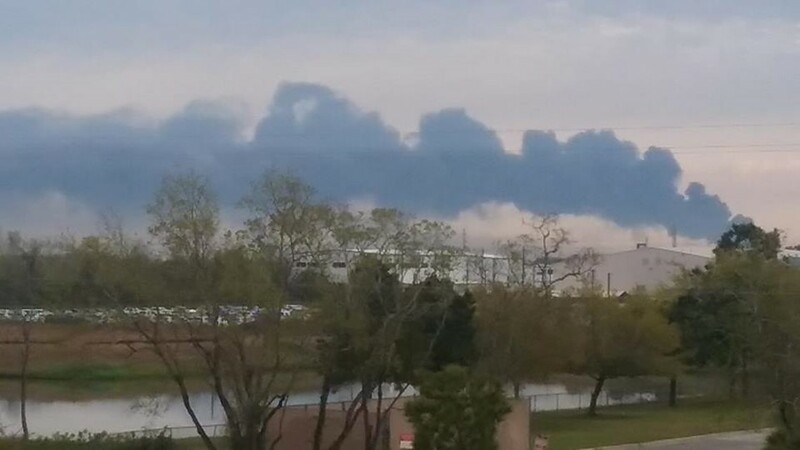 Nancy Molina shared this photo from Pasadena of the large plume of smoke from a tank fire at the Intercontinental Terminals Company in La Porte. 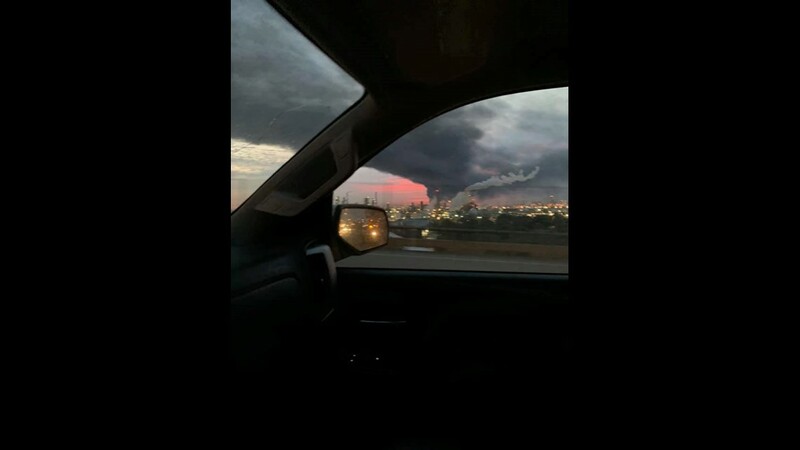 Marina Monsivais shared this photo from 225 at Red Bluff of the large plume of smoke from a tank fire at the Intercontinental Terminals Company in La Porte. 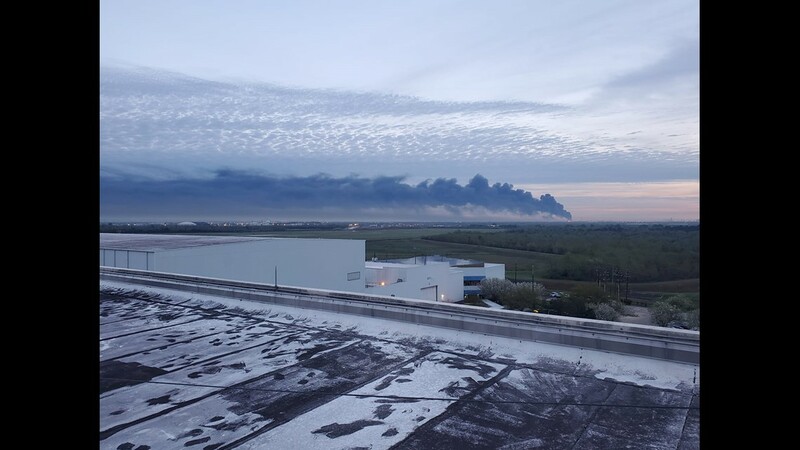 Ivan Escoto Diaz shared this photo of the large plume of smoke from a tank fire at the Intercontinental Terminals Company in La Porte. 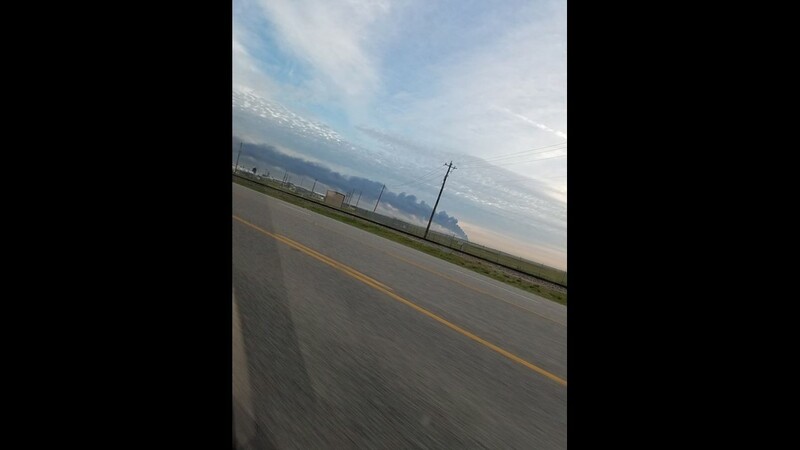 Mandy Sherman DeHay shared this photo from Crosby of the large plume of smoke from a tank fire at the Intercontinental Terminals Company in La Porte. 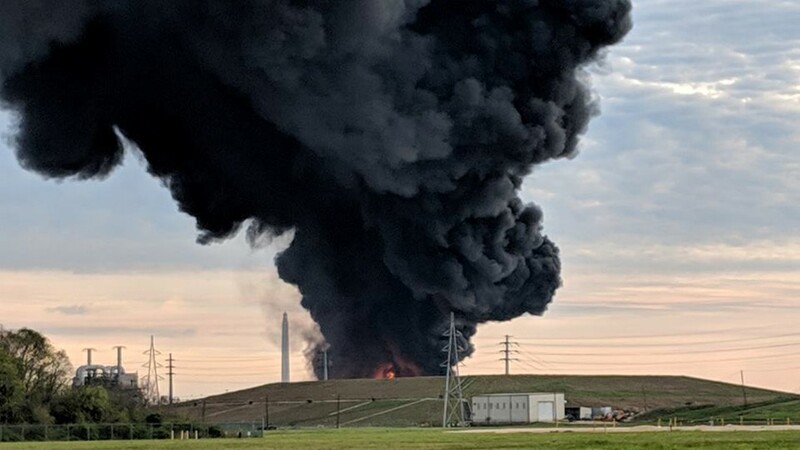 Bo Deaton shared this photo from 225 at Scarborough of the large plume of smoke from a tank fire at the Intercontinental Terminals Company in La Porte. 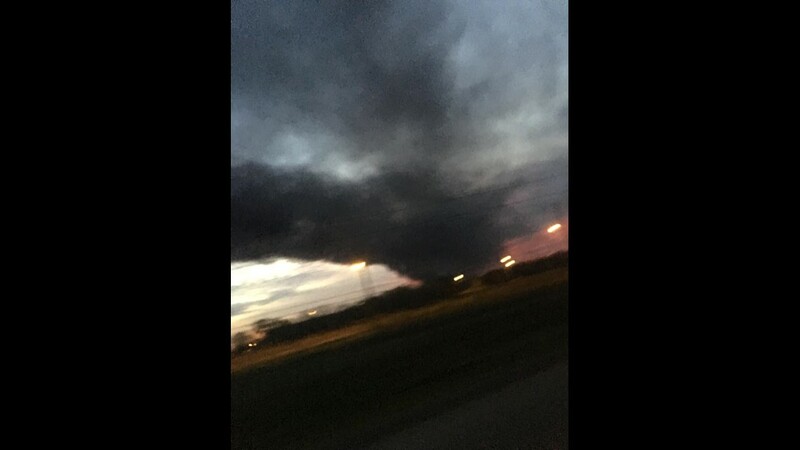 Tabitha Sanchez shared this photo of the large plume of smoke from a tank fire at the Intercontinental Terminals Company in La Porte. 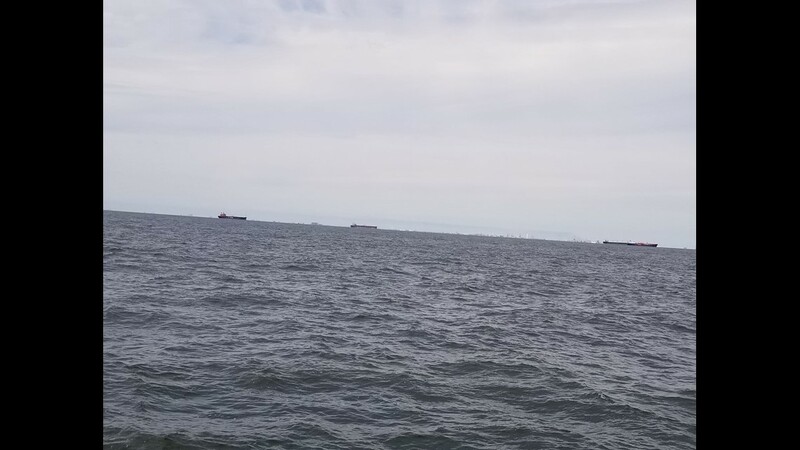 Joe Valdez shared this photo from a boat in the Gulf of the large plume of smoke from a tank fire at the Intercontinental Terminals Company in La Porte. 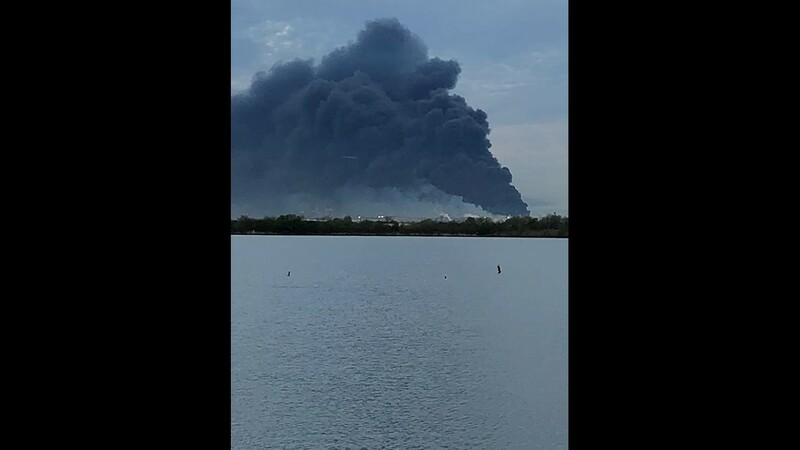 Tracey Messer Rife shared this photo from Santa Fe of the large plume of smoke from a tank fire at the Intercontinental Terminals Company in La Porte. 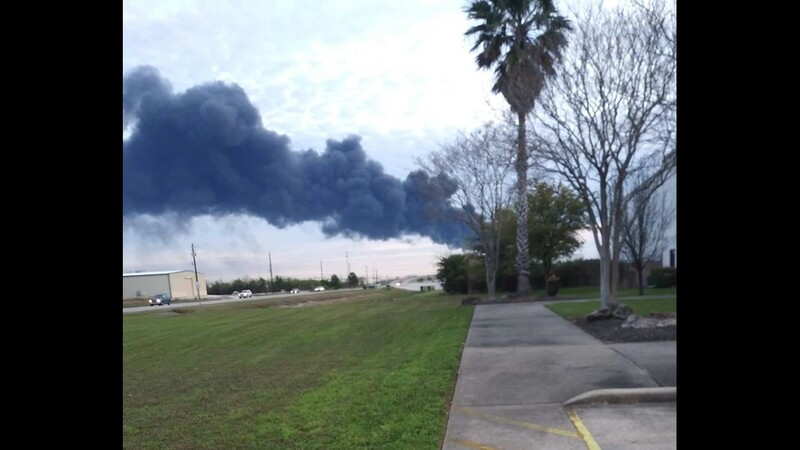 Wendy Harrison shared this photo of the large plume of smoke from a tank fire at the Intercontinental Terminals Company in La Porte. 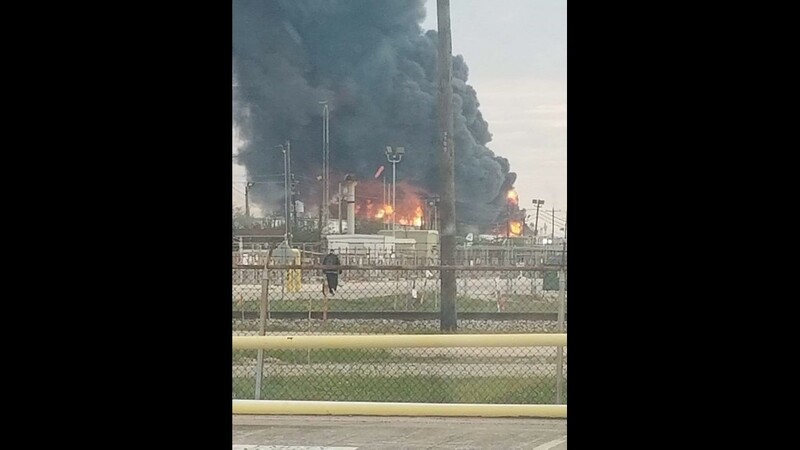 Albert N Jenny Rivera shared this photo of the large plume of smoke from a tank fire at the Intercontinental Terminals Company in La Porte. 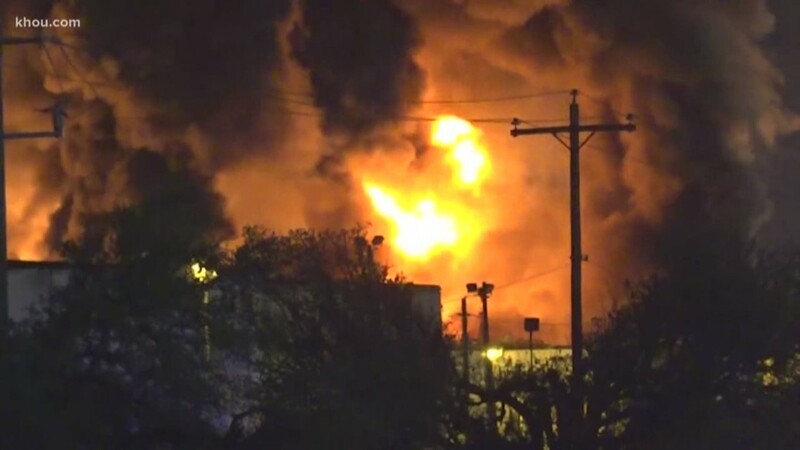 A large cloud of smoke could be seen for miles due to a tank fire at Intercontinental Terminal Companies in Deer Park. A shelter-in-place was issued. According to their website, ITC Deer Park terminal stores all kinds of petrochemical liquids and gases, as well as fuel oil, bunker oil and distillates. 13.1 million barrels of capacity in 242 tanks. It stores petrochemical liquids and gases, as well as fuel oil, bunker oil and distillates. The terminal has five ship docks and ten barge docks, rail and truck access, as well as multiple pipeline connections.